While having great holidays in Austria? In many countries of the Balkans German is the second foreign language in schools after English. In countries like Kosovo, Macedonia, Serbia, Bosnia and Montenegro children are learning German, sometimes even the whole education is in German (German classes). In Poland and Ukraine German is either the first or the second language in the education system, in Romania the demand for German classes is rising and there are German nursery schools and schools. In Romania the former Austrian Monarchy areas like Bukowina and Transylvania traditionally had standard German classes for a long time. 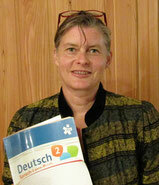 In the Netherlands and Portugal highschools offer German as standard foreign language. Namibia! Also in schools of the Ivory Coast or Camerun German is a compulsory optional subject from the 7th grade onwards, and in some countries of the former German colonies. In South Amerika private schools are run in French, English or German, especially in Buenos Aires you can find many German classes. In regions with high proportion of German communities the children are often taught German in school.